We became interested in transferring funds when our funding projection tool showed we had funds that would expire. We were approached by North West Ambulance Service to support them with Ambulance Practitioner apprenticeships. Although there were layers of governance to negotiate in Royal Mail, supporting a non-supply chain organisation fitted in perfectly with our commitment to Corporate Social Responsibility (CSR). NWAS prepared a schedule of apprentice starts, timescales and costs. We then met to talk through the detail and agreed a way forward. At this meeting we went through the process and guidance together, agreed how wider communication of the partnership would be managed, and the key points of contact. Literally the next day we connected with NWAS on the service, which took the click of a few buttons – the process was simple and it took minutes to do. We then received a cohort of NWAS apprentices for approval. From our perspective, as long as the dates and the costs were accurate we could approve it. All of the apprentice information is managed by NWAS. Simple! We would certainly consider supporting another supplier and have conversations underway with some of the small start-ups we use in our digitalisation agenda to partner on apprenticeships and learn from each other. We are also really looking forward to continuing to build a collaborative relationship with NWAS. We have registered over 300 apprentices as an employer-provider delivering the level 4 Associate Ambulance Practitioner apprenticeship since May 2017, and we have additional employees on apprenticeship programmes with other providers. Having been in co-investment since July 2018, and given our growth plans for apprenticeships, we submitted a request through Health Education England (HEE) for a partner willing to transfer unspent apprenticeship funds. We were really pleased to find out that Royal Mail Group were interested in partnering with us. We met with Royal Mail and watched the ESFA apprenticeship transfer ‘how to’ videos. This demystified the process and showed us clearly what to do. Royal Mail connected with us as an employer through the Managing Apprentices page and we accepted that connection within our account. Apprentices were added, which had a few additional, but straightforward steps. Receiving a transfer has been great. This will allow us to continue to invest in our apprenticeships, without the loss of funding associated with co-investment. 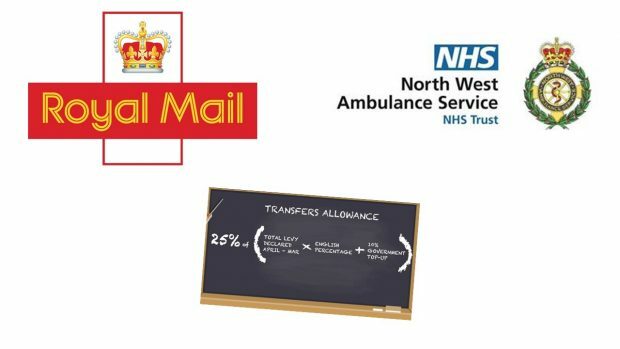 Additionally, given our journey as a new employer-provider, we can support Royal Mail on their journey to become an employer-provider. We are really looking forward to building on our relationship with Royal Mail, and we are very pleased they chose us as a receiving employer.